Minnesota Summer Morning, originally uploaded by Jack W Alexander. A photo worthy of a postcard. 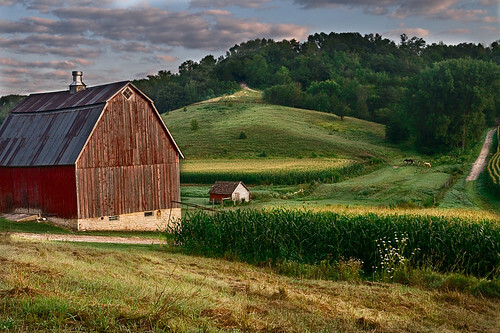 A well-used barn surrounded by lush August corn fields with picturesque hills characteristic of Minnesota's river valleys and southeastern Minnesota make for a true snapshot of what Minnesota is.